Priyu Gupta , D.D.S. is a Board Certified Periodontist with strong roots in Northern New Jersey. She was raised in Wayne, NJ and graduated from Depaul Catholic High School. Dr. Gupta went on to graduate from New York University in the seven-year accelerated B.A./D.D.S. combined program. 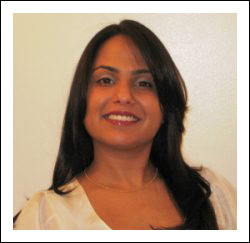 Dr. Gupta completed her fellowship in Periodontics and Implant Dentistry at the University of Medicine & Dentistry of New Jersey, where she had the unique privilege to train with some of the most respected figures in periodontics and implant dentistry. She achieved her Board Certification from the American Board of Periodontology in 2008. Dr. Priyu Gupta is a leader in the dental field. She represents and advances her profession through volunteer work on the Executive Board of the Bergen County Dental Association and by being appointed as the Bergen County Trustee to the ADA. Dr. Gupta is a young professional who practices with the latest technology with a conservative and caring mind.